These offers are free with the purchase of the Fuji Sportif 2.3 (2016) Bicycle. The Fuji Sportif 2.3 2016 has a sleek A2-SL Compact Double-butted Alloy frame and an Integrated Head Tube. 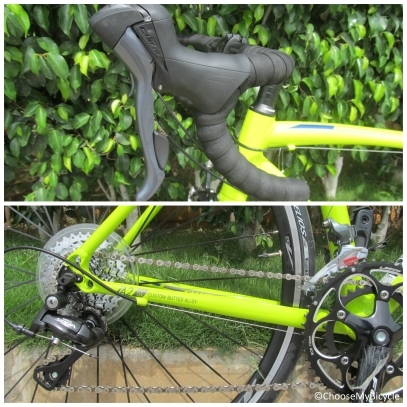 The Fuji Sportif 2.3 2016 is powered by Shimano Claris, 8 Speed shifter. 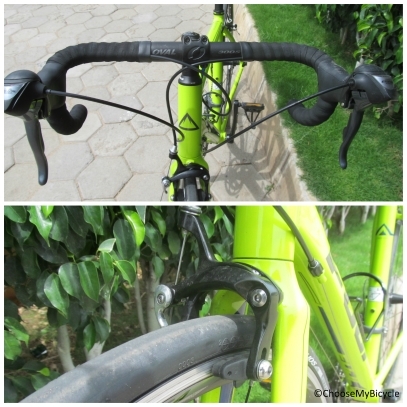 This trigger based shifter is integrated with the alloy dual pivot brake. This variant of the Sportif has high quality Vera Helios, 700 x 25c tires for a typicalæRoad cycleæride. It contains 60 Threads per inch for grip and XXS Vera Invictus 650c x 23 tires with 30 tpi in the back. The Price of the Fuji Sportif 2.3 (2016) is Rs.49990. æA person looking for a reliable Road cycle with responsive control and a good shifting technology should definitely consider this cycle. 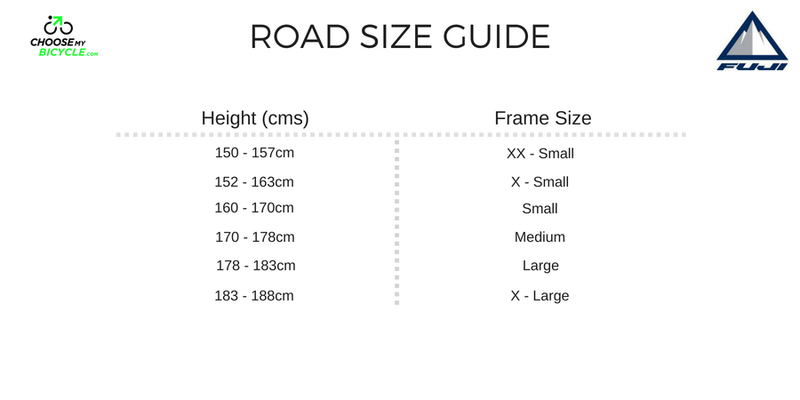 Endurance road bicycles are considered the most easiest to ride among the different types of road bicycles. The Sportif 2.3 (2016) is the perfect example of comfort based road bicycles, mainly due to i's less aggressive ride posture which allows you to ride the bicycle for longer hours without experiencing any back aches. This bicycle is lightweight and yet feels sturdy enough to cope with slightly rough roads. On the whole the Fuji Sportif 2.3 (2016) is a well balanced and comfortable endurance and leisure road machine. Priced at Rs.49,990 the Sportif 2.3 (2016) is a highly recommended first road bicycle to own. 2. In what condition will I get the Fuji Sportif 2.3 (2016)? 6. 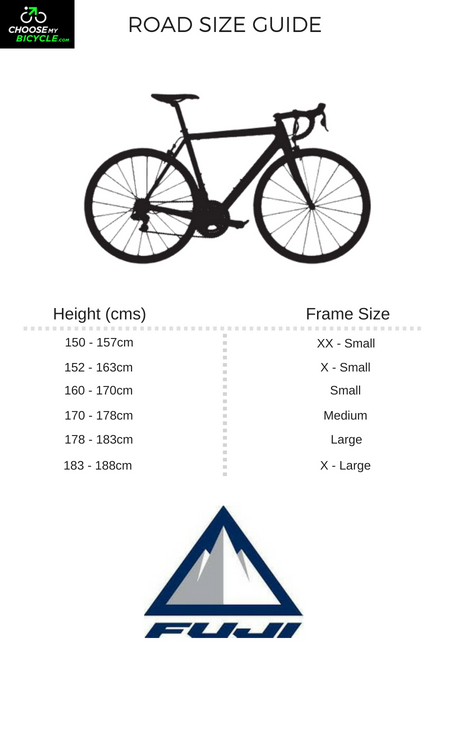 How will I know if Fuji Sportif 2.3 (2016) will fit me without riding it? 7. 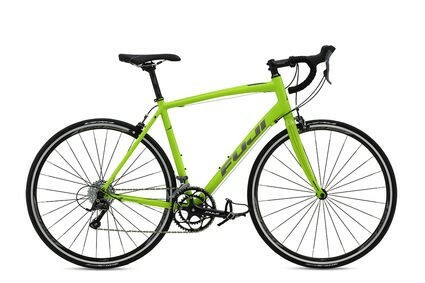 How long will it take for me to receive the Fuji Sportif 2.3 (2016)?